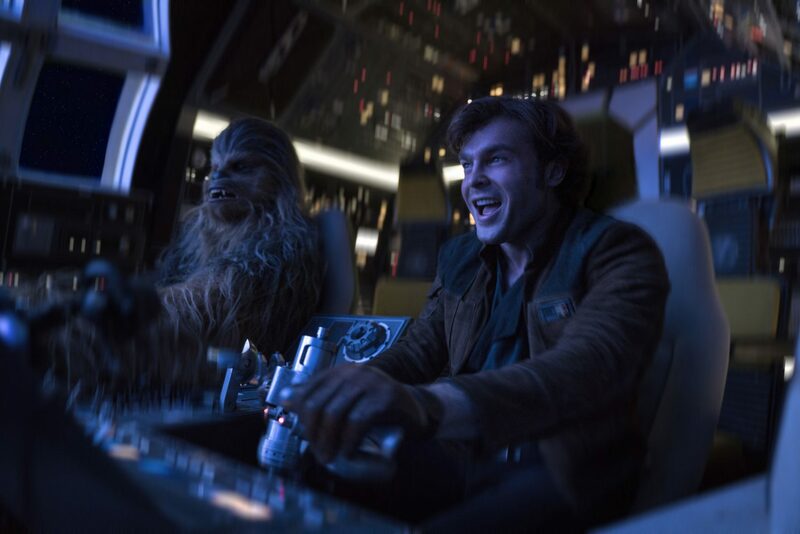 A breezy summer entertainment that probably seems a bit better than it actually is because by all rights it should have been so much worse, “Solo: A Star Wars Story” arrives in theaters after one of the more tumultuous productions in recent blockbuster memory. Last year, with mere weeks left on the shooting schedule, upstart directors Phil Lord and Christopher Miller (of “The LEGO Movie” and “21 Jump Street” fame) were replaced by Hollywood pro Ron Howard, who jumped on board with eight days’ notice to re-shoot a reported 70 percent of the picture. Despite wild rumors and eyebrow-raising hatchet-jobs in the press, seams seldom show in the final product, with only the prominent credits for Academy Award-winning editors Pietro Scalia and Christopher Rouse suggesting how much heavy lifting went into bringing this jaunty, agreeably comedic adventure in on time. It’s a movie that benefits from high spirits and low expectations. Fans live for this kind of thing, with few franchises engendering so much mastication of minutiae. Frankly, it all drives me a little nuts. As a kid, I first fell in love with “Star Wars” for how much it left to my imagination — a movie that began in medias res, skillfully suggesting an endless supply of pasts, planets and possibilities in this gigantic galaxy far, far away. Every prequel has only made that galaxy feel smaller, with the same characters and their relatives constantly running into one another, plus the inevitable disappointment of dramatizing things we spent decades dreaming about. 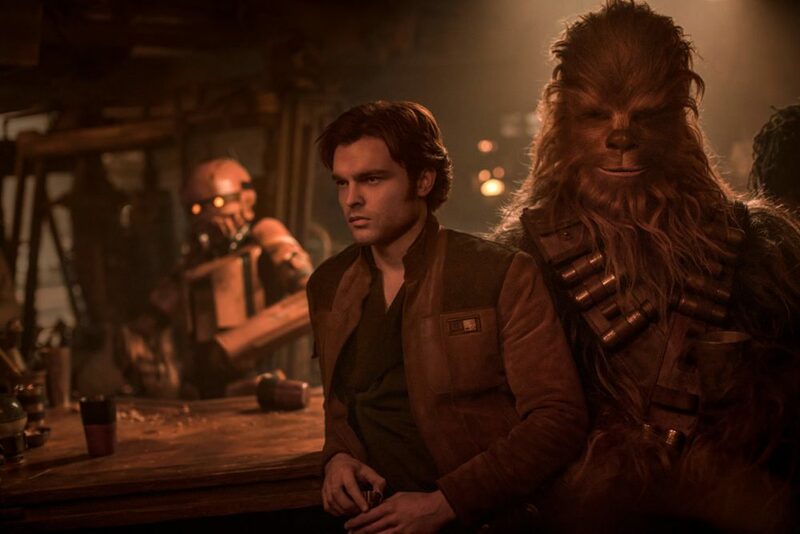 Unsurprisingly, “Solo” works best whenever it’s not bending over backwards trying to tie itself in with the other “Star Wars” stories. For the most part, it’s a rousing space Western with a cast of lovable rogues, occasionally interrupted by spasms of shoe-horned references to the previous pictures. 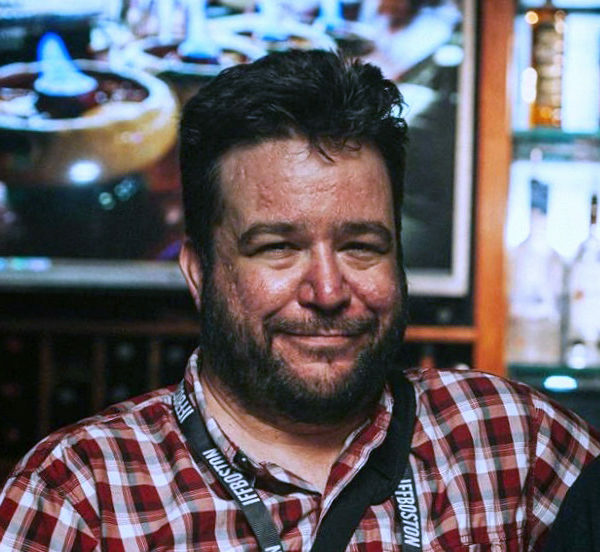 Screenwriter Lawrence Kasdan (who penned the script with his son Jonathan) may have written “The Empire Strikes Back” and “Return of the Jedi,” but “Solo” has more in common with his delightful 1985 directorial effort “Silverado.” After a lot of clumsy table-setting the movie really kicks into gear once young Han and his new pal Chewie hook up with Woody Harrelson’s gang of intergalactic bandits, settling in for a wistful campfire scene followed by a truly great train robbery. (I’m not exaggerating about the Western motif.) Before long, they’re mixed up with a dastardly interstellar crime boss, played with such sly menace by Paul Bettany he seems to have strolled in from a 1960s British gangster movie except surrounded by robots and aliens. 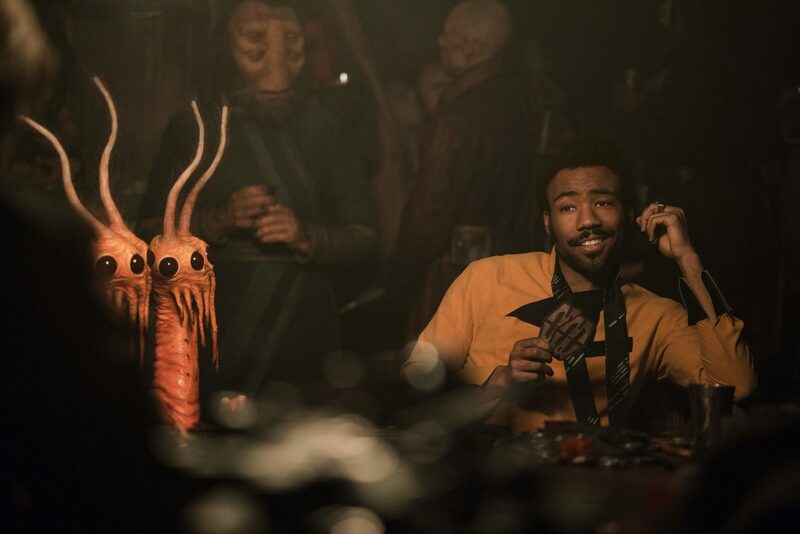 A nonsense line from the 1977 picture about how the Millennium Falcon “made the Kessel run in under 12 parsecs” becomes the motor for a hugely entertaining heist and ensuing chase sequence that makes up this movie’s midsection, enlisting Donald Glover’s smooth-talking Lando, and his sassy, independent-minded droid (voiced by the very funny Phoebe Waller-Bridge) under the supervision of Bettany’s deadly chief lieutenant Qi’ra (an unconvincing Emilia Clarke) who just so happens to be Han’s childhood sweetheart. Saddled with what’s probably the most thankless job in movie star history, Alden Ehrenreich has some big vests to fill here, tasked with summoning that iconic Han Solo swagger. To his credit, this charismatic young actor (who landed the role after stealing the Coen brothers’ “Hail, Caesar!” out from under an all-star cast) doesn’t attempt to mimic his predecessor, which is a relief because he comes off a lot more like a young Leonardo DiCaprio than a young Harrison Ford. But as the film goes on, Ehrenreich develops the wry smirk and cocksure confidence that we’ve come to expect from the character, even if you’ll be wondering how Han is going to grow six inches taller and make his voice drop two octaves before he eventually gets to Tatooine. I’m no fan of Ron Howard’s prestige pictures but he’s always had a knack for ensemble comedy, and to the extent one can parse credit for such a patchwork production, he keeps “Solo” humming along with a buoyant, knowingly funny tone that feels much more like “Star Wars” to me than Disney’s glum previous prequel, “Rogue One.” Bradford Young’s low-contrast, heavily backlit cinematography is going to wreak havoc with crummy multiplex projectors, but presented properly it lends a funky glow to the junkyard aesthetic of ramshackle droids and beater starships. Prequels are inherently lacking in suspense, as we all already know where everybody’s going to end up. (No points for guessing that Han and Qi’ra won’t be living happily ever after.) The modest pleasures of “Solo” are designed to preclude any of the gambles and surprises that made Rian Johnson’s “The Last Jedi” the most unexpectedly resonant — and oddly controversial — pop entertainment of recent years. This one’s more like comfort food for fans, but there are worse ways to kill a couple of hours.